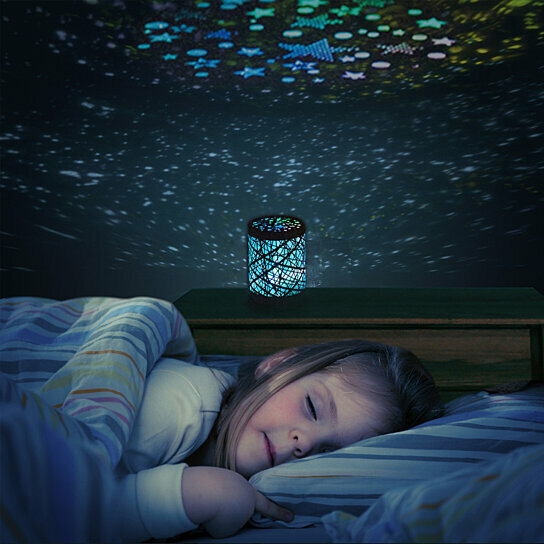 Bring the beautiful night sky to your bedroom with the Color Changing Constellations Projector Decorative Push Lamp by Northwest. The peaceful glow of stardust sparkles will soothe you to sleep. Simply push the lamp cover and be carried away by the Constellations Projector Decorative Push Lamp. Colors fade in and out from red, green, blue, and purple.